Hoover over image to view descriptions click through the interactive slideshow! Dump trucks haul in the garbage. Compactors layer the garbage within a small area to reduce the overall volume of the landfill. The landfill is carefully lined with rock and plastic to ensure that leachate doesn’t drain into drinking water. 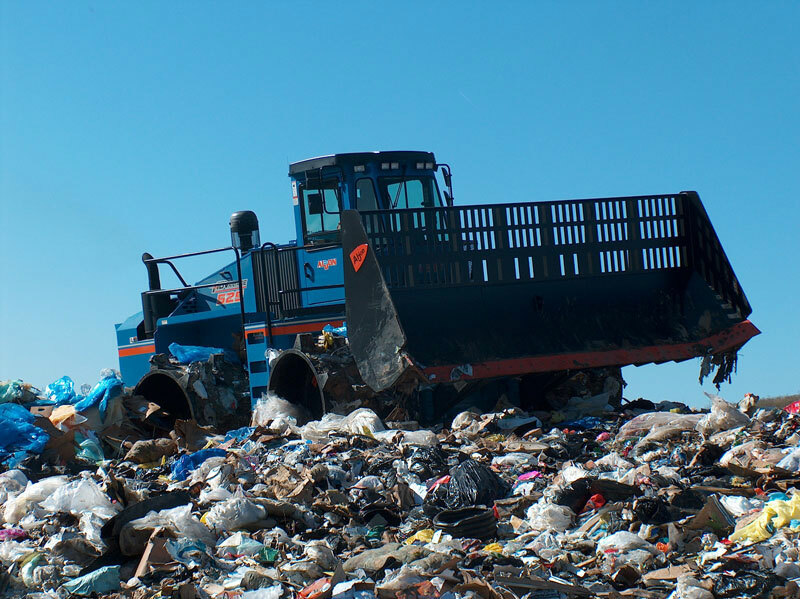 As garbage decomposes it produces landfill gas (LFG). LFG consists of about 50 percent methane (the primary component of natural gas), about 50 percent carbon dioxide (CO2), and a small amount of non–methane organic compounds. The landfill is covered with a thick layer of dirt and plastic to ensure that most of the gas is contained in the landfill. The methane gas is extracted from the landfill via a series of wells drilled deep into the landfill. The wells are connected by pipes which are connected to the blowerskid. 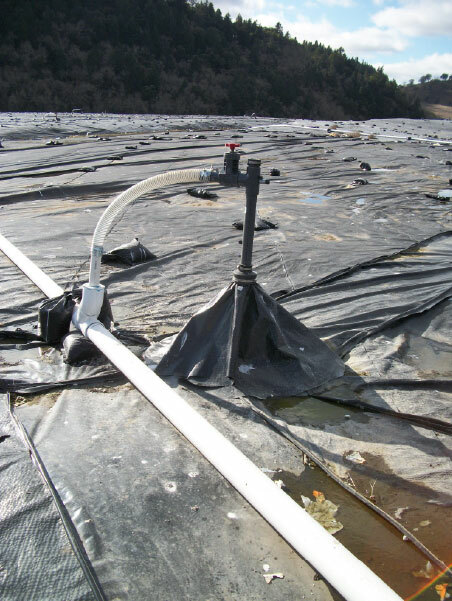 The blowerskid applies a vaccum to the pipes which pulls the methane out of the landfill. The blowerskid then filters out the impurities and pumps the cleaned methane gas into the energy facility. The clean methane is piped into the Landfill Gas to Energy facility where it fuels large engines or turbines to produce electricity. 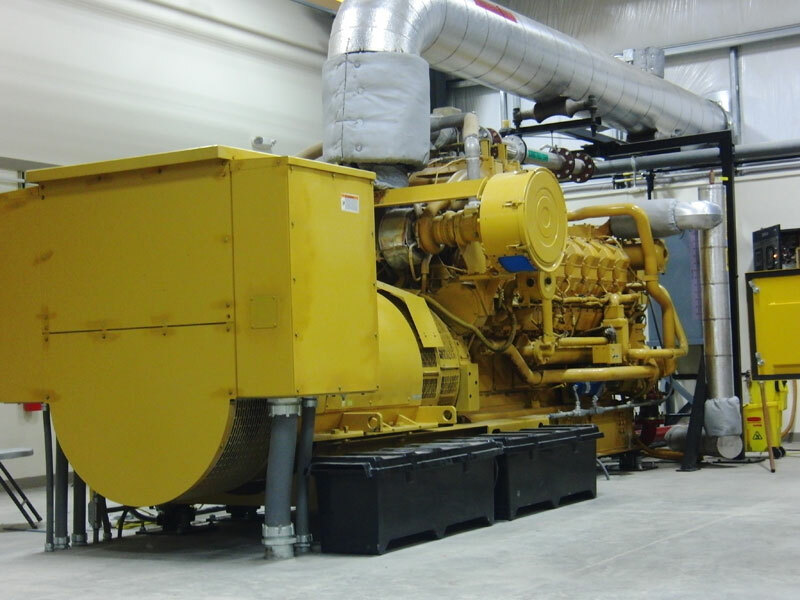 At the ENERGY 2001 facility, the methane powers 6 CAT3516 engines. 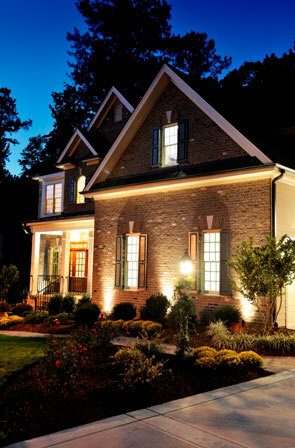 Power from methane then powers your home! The electricity produced by methane generators is then delivered via utility transmission lines to residential and commercial customers.